Study confirms the excellent carbon footprint of recycled PET - Pzwei. Pressearbeit. 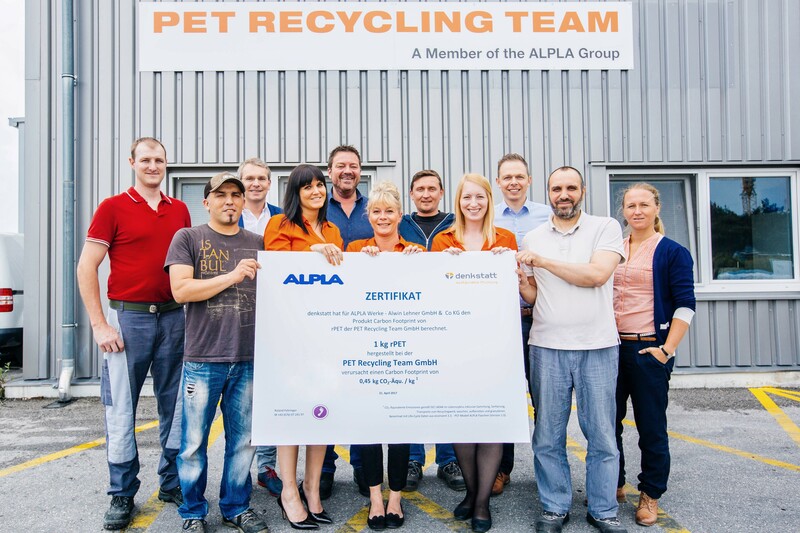 Hard/Wöllersdorf, 9 August 2017 – Recy­cled PET (rPET) from PET Recy­cling Team GmbH – a wholly owned sub­si­diary of ALPLA based in Wöllersdorf/Lower Aus­tria – results in 79 per cent lower CO2 emis­sions com­pared to new mate­rial. This is a signi­fi­cantly higher saving than pre­viously assumed. A study con­ducted by denk­statt GmbH on behalf of ALPLA came to this con­clu­sion. ALPLA, a lea­ding inter­na­tional pro­ducer of plastic packa­ging solu­tions, has been working on PET recy­cling for over 20 years. Alt­hough the eco­nomic con­di­tions for the recy­cling of plastic are cur­r­ently dif­fi­cult due to the low price of oil, ALPLA con­ti­nues to follow this cor­ner­stone of its sustai­na­bi­lity stra­tegy. 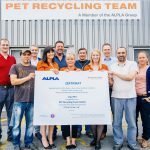 To high­light the value of recy­cling PET plastic, ALPLA com­mis­sioned denk­statt GmbH to cal­cu­late the carbon foot­print for rPET. 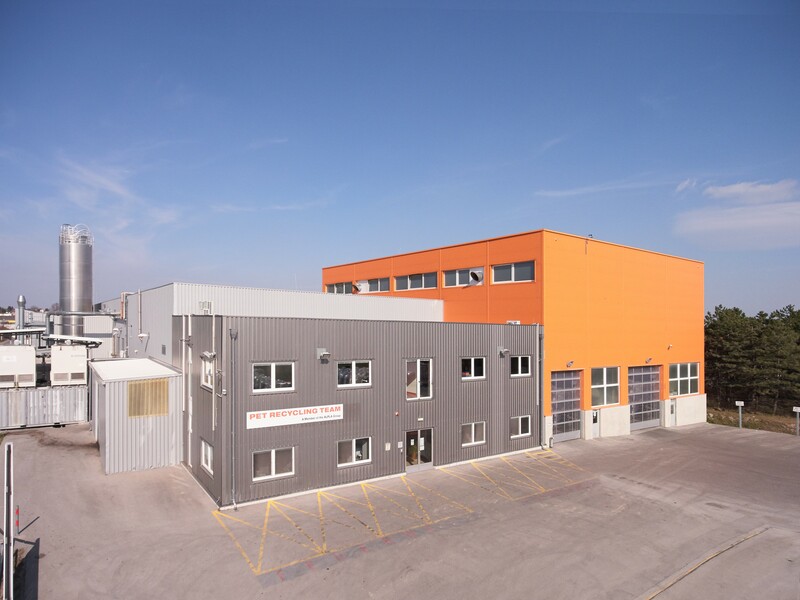 The carbon foot­print was cal­cu­lated in accordance with ISO 14044, star­ting with the collec­tion and sor­ting of used PET bot­tles, covering trans­por­ta­tion to the recy­cling plant in Wöl­lers­dorf, through to washing, pro­ces­sing and gra­nu­la­ting. The ana­lysis is based on the mass and energy balance (elec­tri­city and gas con­sump­tion) for 2016 at the Wöl­lers­dorf recy­cling plant in Aus­tria. ALPLA has decades of expe­ri­ence in the recy­cling of PET, as well as in the pro­ces­sing of recy­cled plastics. 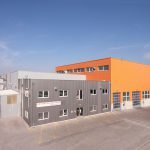 ALPLA ope­rates recy­cling enter­prises at three sites – a joint ven­ture in Mexico, the wholly owned sub­si­diary PET Recy­cling Team in Wöl­lers­dorf and a new recy­cling plant built in sou­thern Poland in 2013. The annual capa­city of these plants is around 65,000 tonnes of food‐grade rPET. ‘We are witnes­sing a clear trend towards PET packa­ging. And not just in summer, when the beverage industry enjoys a boom due to hot wea­ther,’ says Frö­schel. This makes it all the more important to collect used packa­ging and return recy­clable mate­rials to the pro­duc­tion pro­cess. ‘Our recy­cling plants play a key role in this regard,’ the plant manager con­cludes. Fact box: What does the term carbon footprint mean? ALPLA is one of the lea­ding com­pa­nies in plastic packa­ging. Around 18,300 employees world­wide pro­duce custom‐made packa­ging sys­tems, bot­tles, clo­sures and moulded parts at 172 sites across 45 coun­tries. The high‐quality packa­ging is used in a wide range of areas, inclu­ding for food and drinks, cos­me­tics and care pro­ducts, house­hold deter­gents, washing and clea­ning agents, engine oils and lub­ri­cants. ALPLA cele­brated its 60th anni­ver­sary in 2015.